let us have grace, by which we may serve God acceptably with reverence and godly fear. Every services done for the expansion of God's kingdom is the most fulfilling job we can ever make. 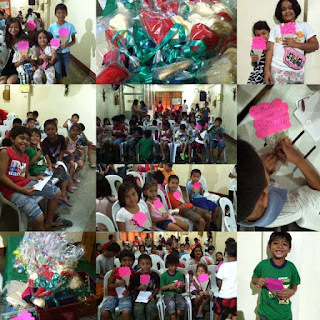 We all know that we are here and continuously serving all because of God's grace. Without Him it is impossible for us to continue. It His promises that kept us strong and kept us from falling. What a great God we serve! 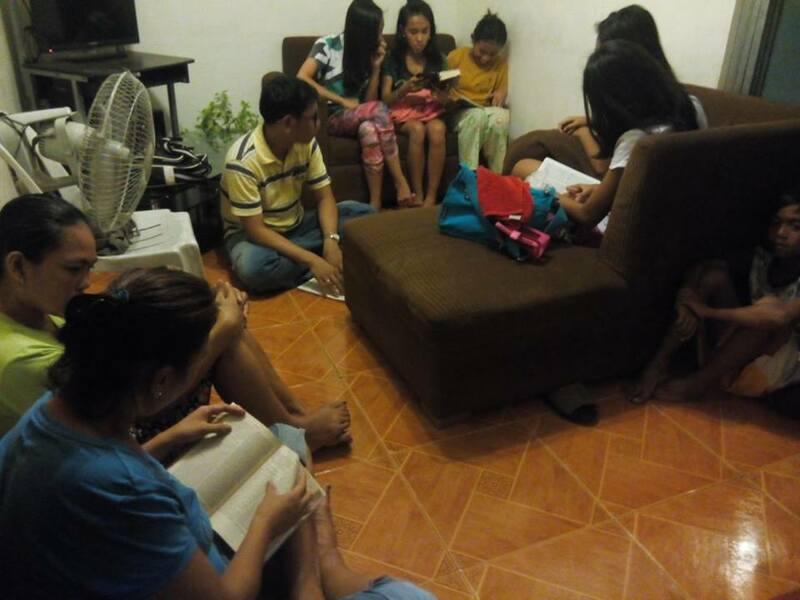 Our outreach in San Pascual, Batangas keeps on growing through studying the Word of God, prayer and fellowships. 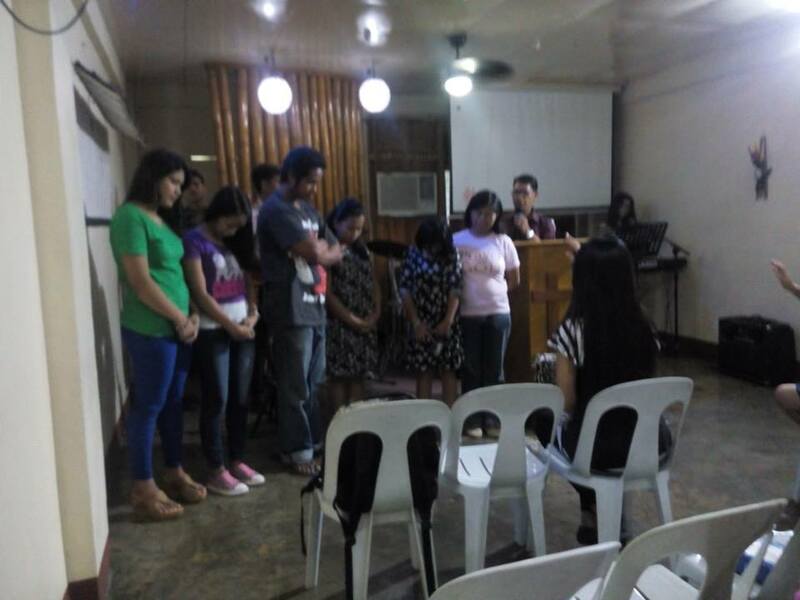 We are thankful for the lives of the couple Ptr. Eric and Sis. Eva Cedo with their two daughters who are instrumental for the growth of our brethren there. 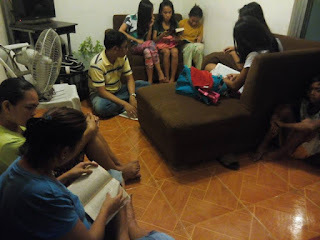 Our God has been gracious to this family; specially to Sis. Eva. She had to undergo blood transfusion and an excision surgery this month. 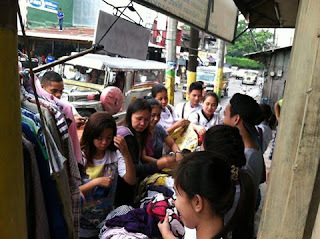 They have spoken of how God was their provider and healer in this time of need. 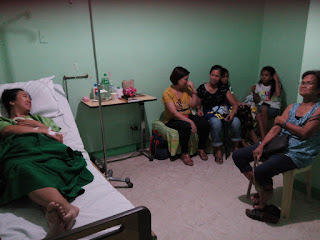 Some CSF brethren, families and friends were there to visit, pray and support her. Sis. Eva quickly recovered after her hospitalization. Pray for God's complete healing in Sis. Eva's body at the same time His provision for this whole family as they faithfully serve the Lord. Month of May is assigned to recognize all mothers. It is a blessing to have God fearing mothers. I am so blessed to have a mom who introduced me to our Lord and Savior Jesus Christ; that I am will be forever grateful for. 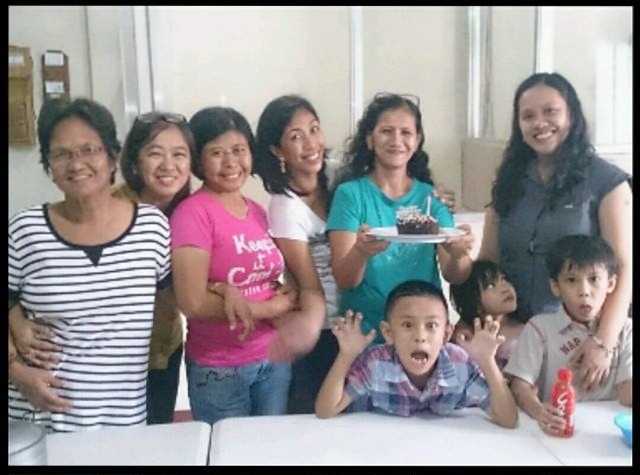 Christ Stewards Fellowship is blessed having faithful servant moms who works voluntarily in every services that our church is hosting. 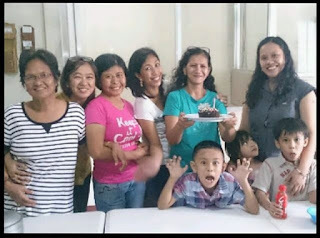 Most of these moms have their own struggles that they are battling everyday; be it in health, parenting and upbringing their children, finances, marital problems and so much more. I feel their burdens every time we meet and share our lives. Yet I am blessed that they continue in spite of the works of the enemy to hinder them in their service. Remember these women in your prayers. Last May 22, 2015 was another successful Children's Party Fellowship here at Christ Stewards Fellowship - Batangas. 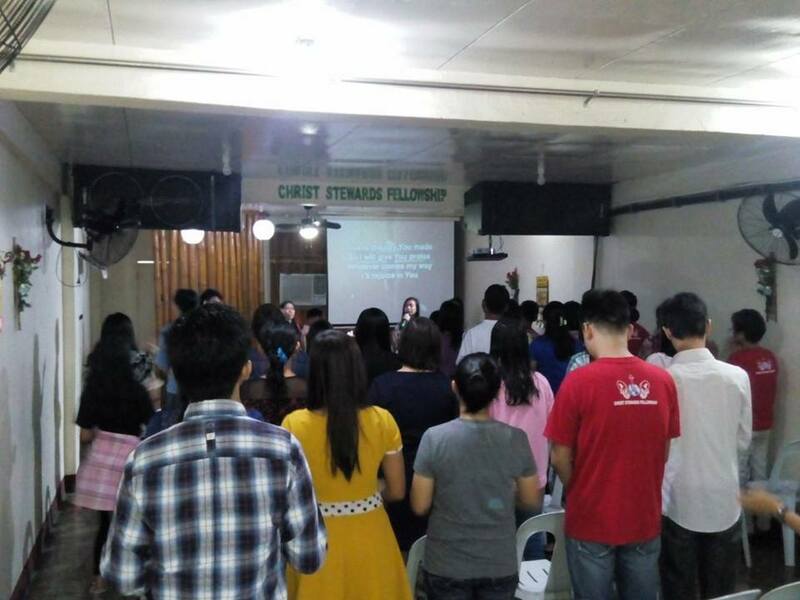 We are overwhelmed for your faithful support in this ministry. 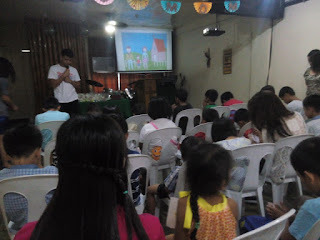 This time the children learned a story about a prayerful mom - Hannah. 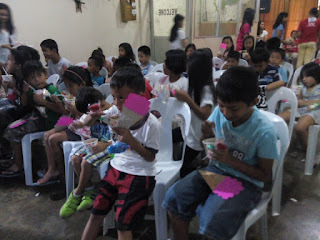 Before leaving, each children made a card to give to their mom for Mother's Day Greeting. All tummy's were satisfied and came home bringing some more treats. 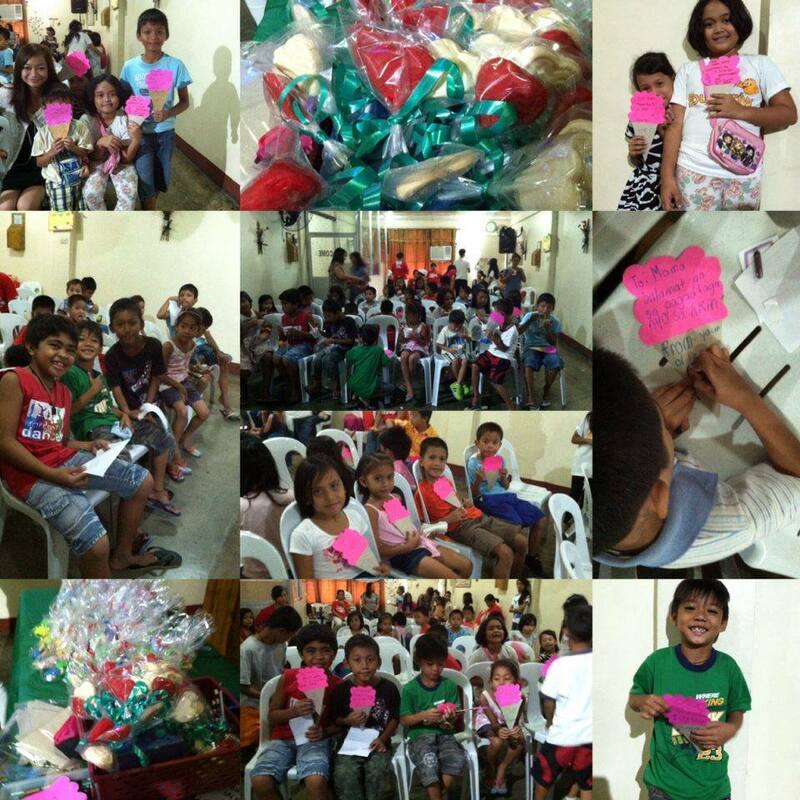 Our desire is for these children is for them to get to know Christ and let Him be the king of their lives. 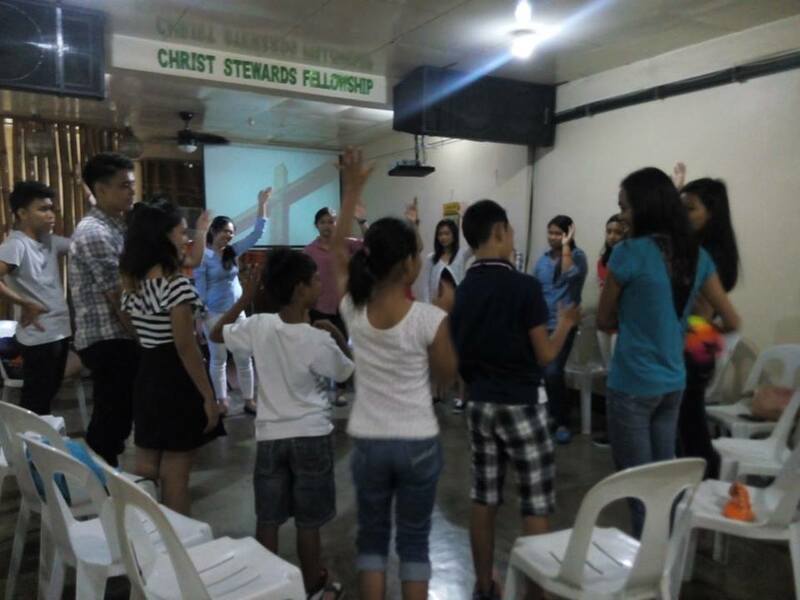 Our church youth regularly conducts their joint fellowships (Batangas City and San Pascual) every First Sunday of the month. We've seen some of these youths in their childhood and where blessed how God worked in their lives and are now leading other children and fellow youths to Christ. Some of them are moved also how to support the church even in raising funds for the ministry. They had an idea of collecting their own old clothes and some stuff. They brought all these items in the church and then they launch a garage sale. Everyone of them sacrificially spend time to sell their own stuff to collect funds for their youth fellowship and fund some church supplies too. When our hearts are focused in God it is when we are able to walk in God's ways and see His perfect plan in our lives. As God's children, this is the only way where we can experience true life's fulfillment. May your lives be filled with God's love and grace.